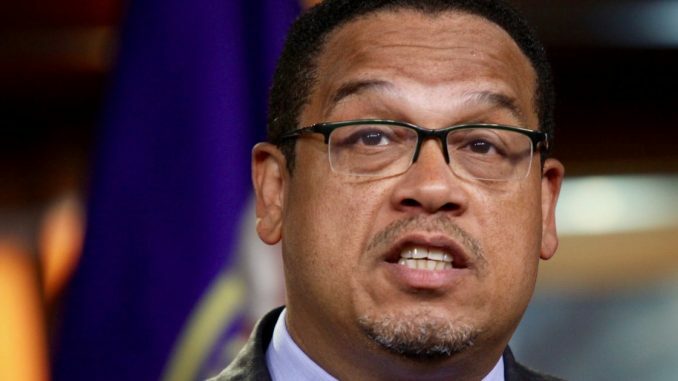 Perhaps, now we’ll see what’s what in the case of the allegations of woman abuse against Rep. Keith Ellison (D-MN), aka Hakim Muhammad, a man asking for Minnesota to put him in office as attorney general, even though he doesn’t have an attorney’s license in the state. A county court judge has ordered that his divorce records be unsealed so that there might be more scrutiny of his private life. “The court is sensitive to these concerns and recognizes that no litigant relishes the idea of the friends, neighbors and opponents having access to their divorce file, but open access is the presumption in Minnesota,” he said in his order as reported by Minnesota Public Radio. Of course, they claim it’s a political move for political gain, but neither Ellison nor his ex-wife said the same of attacks against Judge Brett Kavanaugh as an orchestrated political hit for political gain, did they? Now, the chickens are coming home to roost. The Minnesota Star Tribune and AlphaNews sued to have the records unsealed. Good for them! That’s one of the few things they’ve done right. When someone is asking for a place in public service and asking people to vote to put them there, their private life is no longer private. It’s very much public, especially when there have been credible witnesses, unlike Christine Blasey Ford, who not only filed police reports of physical and verbal abuse against Ellison, but also have those who corroborate their stories. The difference here is, however, Democrats don’t believe these women because they make credible allegations against the guy wearing their team’s jersey. And though the Communist-backed Ellison supports cop killers, he didn’t have a problem calling on the police to protect him from a female journalist armed with a mic and camera phone, who simply asked him to respond to the accusations and police report, as well as how he plans on being attorney general without a license. Ellison’s opponent, Republican former Rep. Doug Wardlow, ran a television ad regarding the abuse allegations last week. “Worse yet, Keith Ellison has been accused of domestic violence by multiple women,” says the ad. “Even the National Organization for Women has called for Ellison to end his campaign. Democrats have held the attorney generals office in Minnesota for 47 years. Perhaps that’s why the state is so screwed up and the Muslims have infiltrated it at an alarming rate.